So you’re all going to be really bummed. 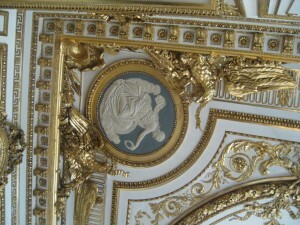 The Ritz in Paris is going to be closed for 2 years starting in the summer of 2012. Zut alors! There go next year’s Christmas plans…. 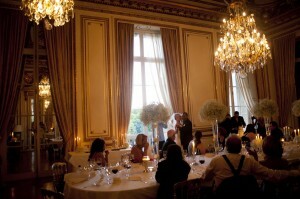 I jest, but the truth is, luxury hotels in Paris are doable and great choices for destination weddings. Having a small guest count makes it possible. Our Hotel De Crillon wedding looked like a million bucks (make that about 1.3 million in Euros) and was warm, intimate, and memorable. With around 20 guests, it fit within my clients’ budget and was the ultimate in luxury. While I was in town, I visited the Four Seasons Georges V as well, where, like the Crillon, having food and seating in-house helps control the budget. Décor can be kept to a minimum because these high-end establishments are the tip-top in opulence. When are you going to get married in Paris again? Exactly. So a careful investment can make for a lifetime of gorgeous memories. 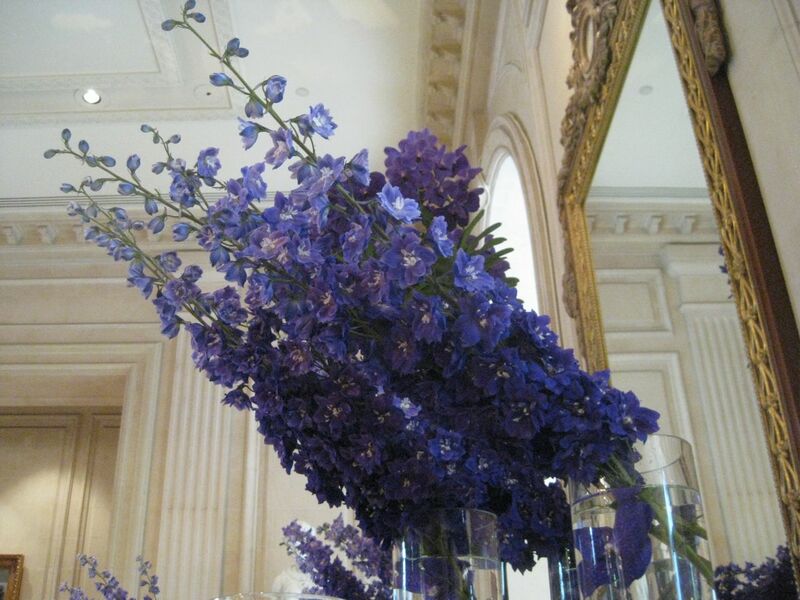 Jeff Leatham, artistic director of the Georges V, is credited for starting the trend of angular floral arrangements. When I stopped by, purple was the color of the moment. 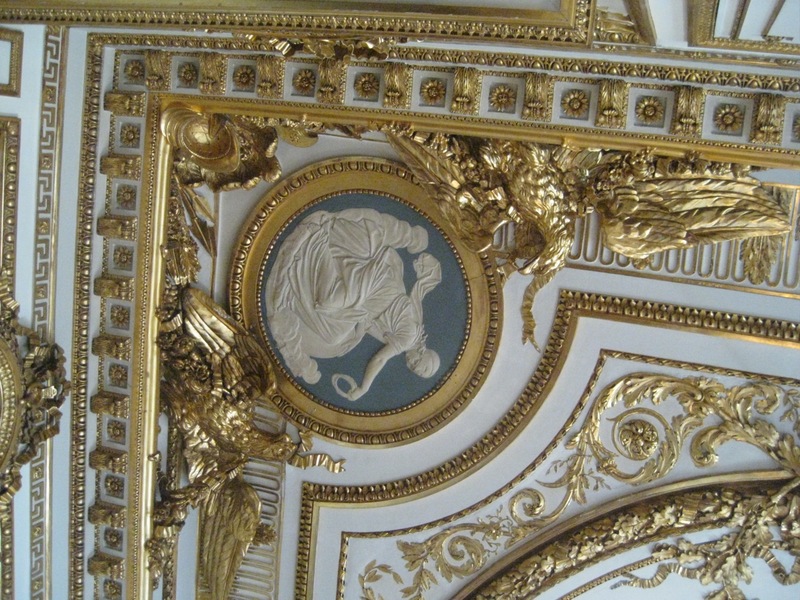 With detail like this, decor can remain minimal. My clients saved money by renting an apartment nearby the festivities, which as you can imagine saves on food as well. They were right around the corner from the famed Rue Cler, which is lined with fruit stands, patissieries, fromageries – fresh food galore. The view from my clients' apartment. 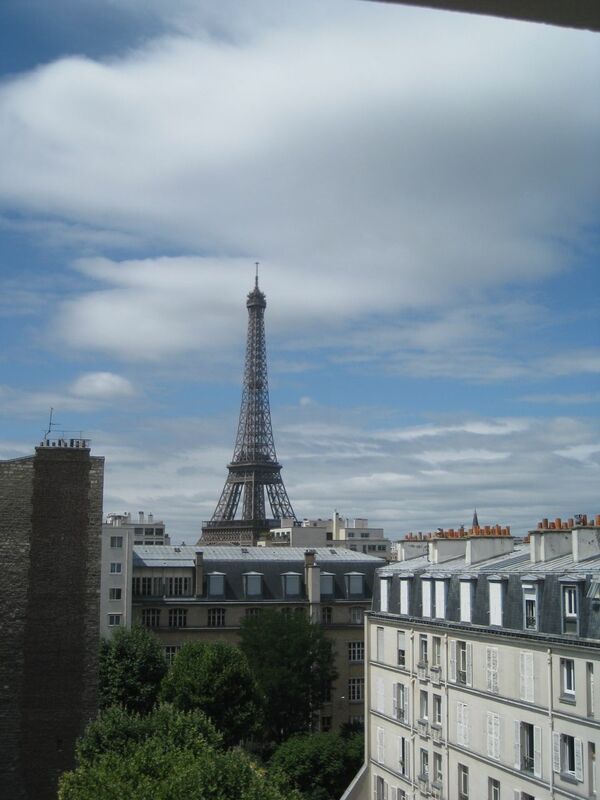 I was also speaking recently with expat Laurel, one of the dynamo owners of Sugarplum Cake Shop, and she told me about a gorgeous French blog. Whether or not you can read French, you’re going to fall in love with it. It’s one of the first of its kind – a hip, stylish blog for the French bride. While America has immersed itself in wedding obsession, Paris is not quite there yet – but the winds of change are a-blowin’, and Le Mariee aux Pieds Nus is at the forefront. Toying with the idea of a Paris wedding? Dreaming of your I-do’s at a Chateau? Shoot us an email. I’ll treat to you a glass of wine and we’ll talk all about it! Happy planning, and au revoir for now.